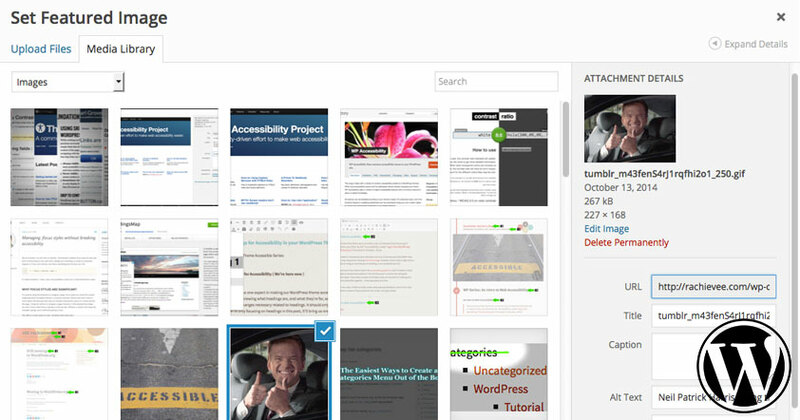 Making your WordPress theme accessible, one blog post at a time. Before I get started, I’d like to give a disclaimer that on paper, I am not defined as a “designer” anywhere. I got off that train after a 2-year-no-longer-existing college that’s still drowning me in debt made me seek a better education at the college I eventually got my BA from. I’d also like to confess that I took advanced color theory because credits allowed me to skip the two introductory courses – and that was the biggest mistake I’d ever made. Color is hard and Pratt didn’t play around. Therefore, color, is not my forte. However, I’m getting better at it! Let’s improve together, shall we? 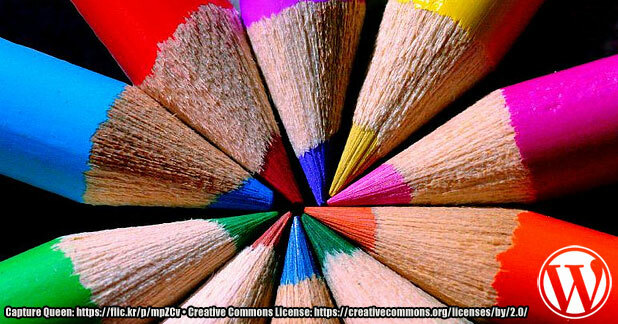 So, in this fourth installment of my accessibility series, I’d like to review choosing colors for your WordPress site. 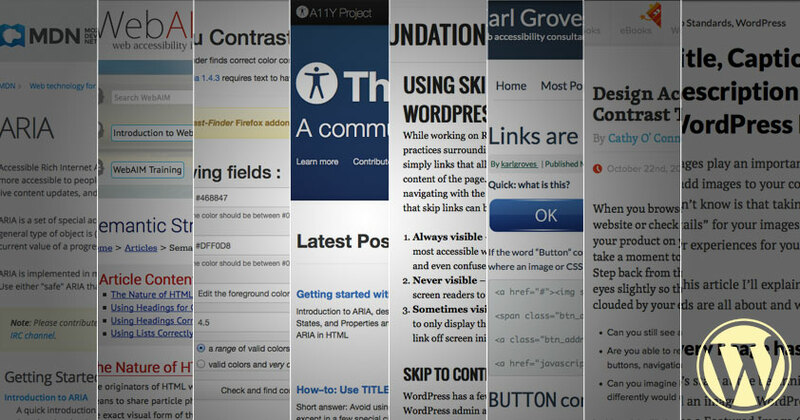 First, we’ll talk about why choosing the right colors for web accessibility is important. Then there will be a brief overview on color theory with some links pointing you toward those “designers” on paper that could provide deeper insights than I can. Finally, we’ll jump into our WordPress stylesheets and change some key selectors that should make a difference right away in improving our theme’s accessibility. Let’s get started! 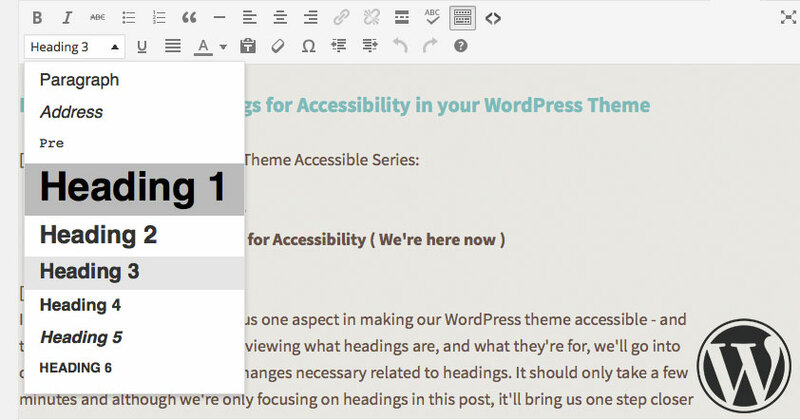 In the previous two installments of this accessibility series, I introduced web accessibility in general, and together, we went over organizing headings in our WordPress theme. In today’s post, we’re going to go over images. This post will cover what makes images accessible, and how we can apply those methods both in our theme templates and in our content. Let’s get started, shall we? Of course, this doesn’t necessarily mean that there are only 13 themes out of the 2000+ that are accessible, they may just be missing their theme tags. However, there is also a high chance that a theme you’re using, or one that you’re building, is not accessible (uh oh)! Well, how do we know if our theme meet’s the accessibility guidelines and if it doesn’t, what steps can we take to resolve that problem? This the first post in a series that will guide us through those steps. If you have a couple of minutes a day, we can work on making your WordPress theme accessible together – a few easy steps at a time. 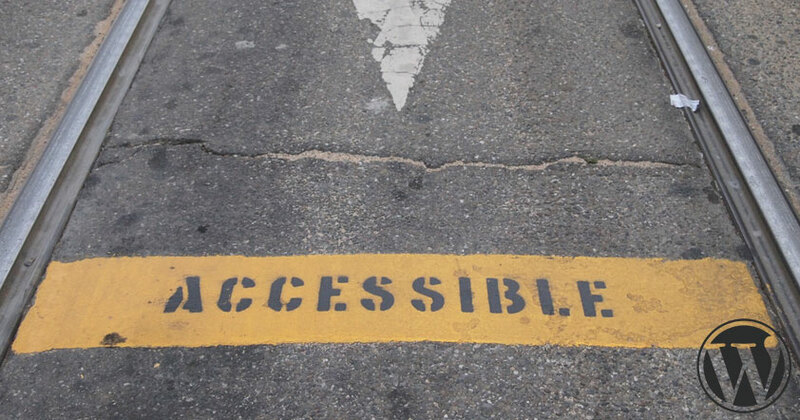 Before we dive into code, I’d like to briefly review what web accessibility is, who it’s for, how it’s used and what to expect in future posts for this series. Let’s get started.